Welcome to the world of camera obscuras. A reproduction made by the author of an early 19th c. reflex type in the Museum of History of Science, Oxford. ‘Vermeers Camera’ invented by Anson Cross in 1934. 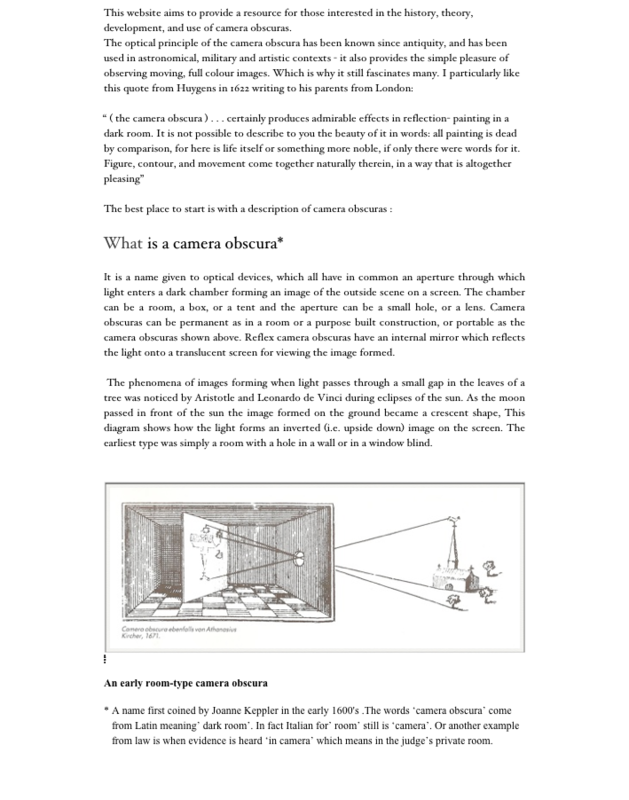 The optics of a Tent Camera Obscura containing a meniscus prism by Chevalier 1825. Collapsible type for use in the field by E.Picard 1890 - invented by Commander Blain a French militia man in 1889. 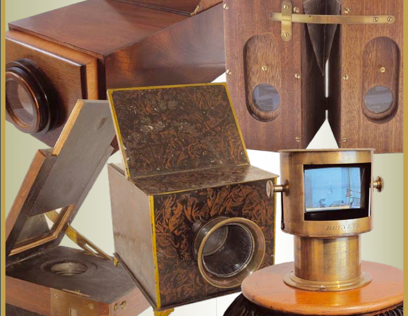 The central camera obscura is by Ernst Planck a German toy maker, made of tin plate c. 1900.
photographic montage courtesy of The Scientific Instrument Society.